See for yourself what makes Sun City in Oro Valley, one of the best retirement communities in Arizona. 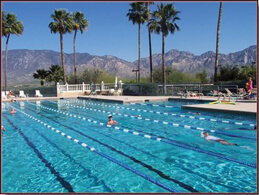 Positioned beautifully at the foot of the Catalina Mountains, Sun City is changing the face of active living. With over 130 clubs and group offerings, this 45+ community offers something for everyone. If you’re looking for an active lifestyle this is the place for you. Whether you desire to stay in shape or explore a new interest, Sun City offers you the right activity. 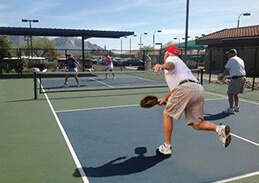 An active lifestyle is easy at one of the best retirement communities in Arizona. Here you’ll be surrounded with inspiration to explore new interests. Click here for more information on the active lifestyle in SCOV. Amazing things can and will happen in SCOV. Launch your active lifestyle into full gear. It all happens in our extraordinary amenities and facilities. Whether your goal is staying in shape or trying something new, you’ll find SCOV is the place to get you going. Surfing the web can be done in all of our facilities. Click here for information on all our amenities & facilities. SCOV is a premier homeowner’s association. A volunteer Board of Directors establishes policy, approves budgets and assures the financial integrity of the Association. Our staff is helpful and attentive. Committees of residents provides expertise in various Association matters. Tucked inside the master-planned community of Rancho Vistoso just north of Tucson, Arizona in the Town of Oro Valley, Arizona, SCOV is close enough to enjoy the advantages of a large without being too close. The three surrounding mountain ranges serve as a visual feast of the unique desert plants and animals. 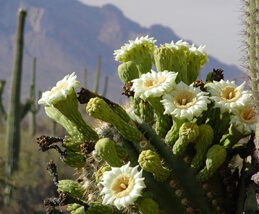 The tallest range, the Catalina Mountains, are awash in vivid colors daily, courtesy of the beautiful hues of the Sonoran Desert sunrises and sunsets. This established community of 2,488 homes built by Del Webb is built-out making homes for sale available from your favorite realtor. Homes range from 1000 to 2700 square feet with resale prices from $150K to over $500K. All homes have sidewalks and are one story. Click here for more information about our homes & realtors.